Welcome to the Hakola & Associates' real estate website, your best online resource for exploring South Orange County homes for sale! Steve, Karen, and Bryan Hakola have more than 50 years' combined experience with local O.C. real estate, providing buyers and sellers with knowledgeable service during every step of the real estate journey. With the expert guidance of Hakola & Associates, you'll be living your real estate dream in no time. Our free tools will help you find the perfect home quickly and easily, while we're always a click or phone call away to offer assistance and expertise. South Orange County is home to many beautiful master planned communities, with gorgeous architecture and stunning properties. 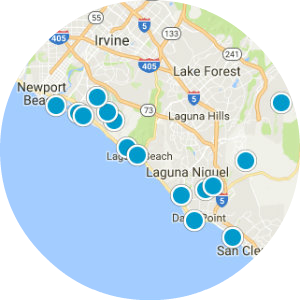 A few examples of these great neighborhoods include Laguna Niguel, Dana Point, Irvine, Coto de Caza, Ladera Ranch, and Mission Viejo. These communities are well-known for their safety and their well-appointed homes. 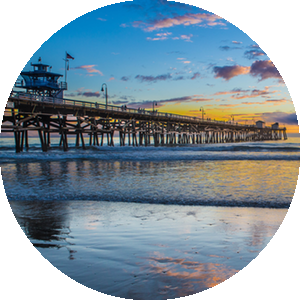 The area's excellent climate and famous beaches make South Orange County a paradise for lovers of sun, surf and sand; in fact, some of the best surfing in the world is found in the region, which is home to "The Wedge", a world famous body surfing spot in Newport Beach. We know that people want different things out of their home. That's why we offer multiple ways to search South Orange County real estate listings so that you can pinpoint the home that's exactly what you're looking for. This site allows you to search South Orange County real estate listings by different variables such as subdivision, property type and price and also provides updates that match your preferences, all for free! Searching South Orange County real estate has never been so easy or accurate. 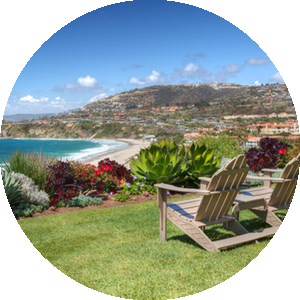 If you want to keep up to date on the latest developments in South Orange County Real Estate, check back regularly to read our blog, a great source of information on the happenings in and around the beautiful South Orange County real estate market.